In today’s fast-paced social environment, social media managers are searching for measurement tools to not only provide data from social media accounts, but to also assist in interpreting and understanding what the data mean for their social media strategy. 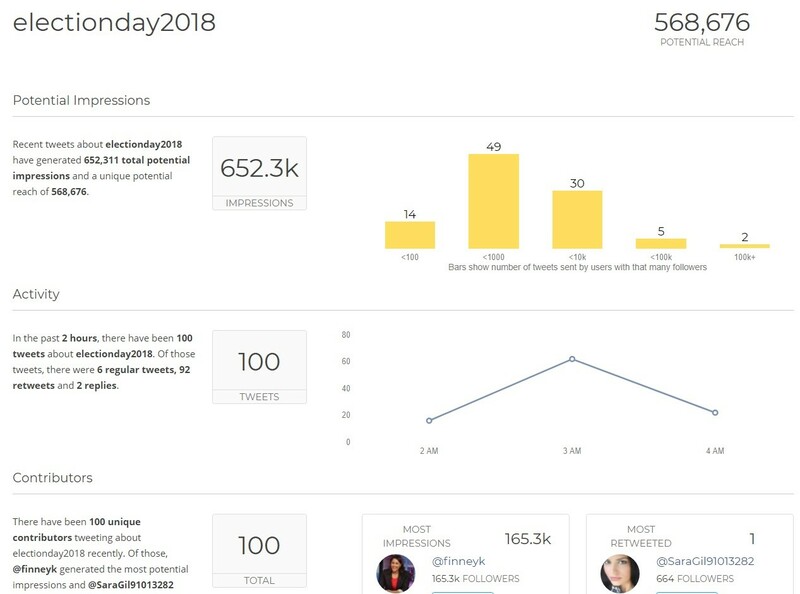 Union Metrics is a social media measurement tool designed to do just that by turning data into strategy through social marketing intelligence on Facebook, Twitter and Instagram. 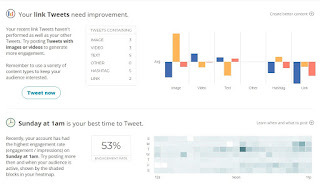 Union Metrics is a web-based analytic tool designed with marketers in mind. Union Metrics began back in 2009 as TweetReach.com. 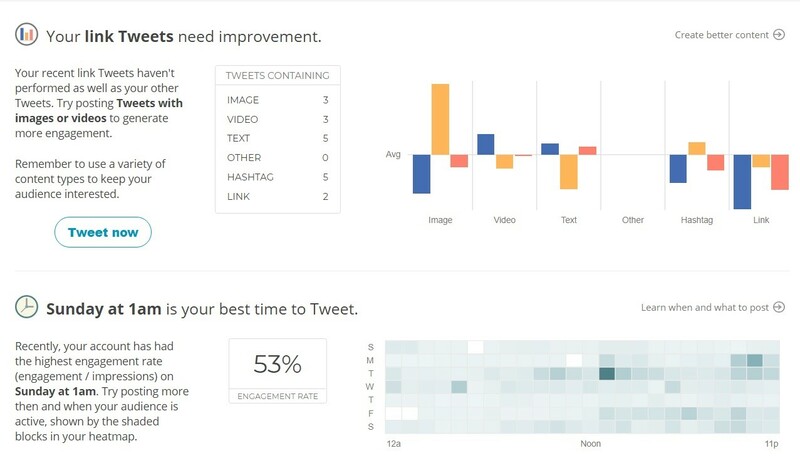 Recently TweetReach joined forces with TrendKite and InsightPool to form Union Metrics. This review focuses on Union Metrics’ free measurement tools including Twitter Assistant, Twitter Snapshots, and Instagram Checkup. Each of these tools include algorithms from the paid subscription features to help improve social media marketing for free. A brief description of each tool is included in the image below. There are paid subscription options include Social Manager ($49/mo), Social Marketer ($99/mo), and Marketing Team ($199/mo). More information can be found at https://unionmetrics.com/pricing/. To access each of the three free tools, users will need to register for a Union Metrics account, then link a Twitter profile to both the Twitter Assistant and Twitter Snapshots tools and link an Instagram account to Instagram Checkup. Once you have linked a Twitter account all you have to do is run the Twitter Assistant tool. It will then provide a breakdown of information from the linked account over what seems to be a four-week time period. Information will include the top performing tweet, what tweet content needs improvement, best times to post, top performing hashtags, and your most influential contributors. Each section of information will explain what needs to be worked on with tips on how to improve, as seen in the image below. After linking a Twitter account, you are able to search for any hashtags, keywords, or accounts. A snapshot will then be generated with information about the potential reach, potential impressions, recent activity, and contributors. This feature is helpful to understand the potential reach of your account or even a recent social media campaign. In addition, you can even get a look at your competitors’ reach and impressions. This feature does limit you to only the latest 100 tweets or the past seven days, whichever comes first. So, keep that in mind when analyzing data over an extended time period of a campaign. Running the Instagram Checkup will generate a report containing the frequency of posts, the best time to post, your top hashtag, as well as the posts with the most engagement. Tips for improving each section are provided as well. Only the posts from the last month will be included in the checkup report. Once running the report it can only be updated every 24 hours. Like all measurement tools, Union Metrics has some pros and cons that users should be aware of prior to using. · Free means free. Union Metrics never requires a credit card to use the free features, and there is no free trial time frame limit. · Data insights. 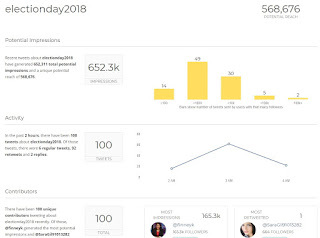 One of the outstanding pros for Union Metrics is that the tools provide data for marketers but also include tips and insights on how to use the data to improve a social marketing strategy. · User friendly interface. Union Metrics’ website is easy to navigate and understand. All of the tools are easy to learn and do not require previous experience to use. Also, all terms are defined on the website. · Navigation. Switching between the three tools is easily done by the drop down menu on the web page. · Speed. Across all three tools, they operated very quickly. Generating reports only took a few seconds, but depending on the size of the data could take up to two minutes. · Instagram analytics. Instagram analytics are usually difficult to come by, and the fact that Union Metrics provides a free checkup tool is a great pro. · Privacy. Upon linking each account to the three tools, you are informed of every aspect of information the tools will be able to access. No outstanding privacy concerns stood out as the tools mostly required access to only basic account information. · Amount of data. As with many free versions, Union Metrics severely limits the amount of data allowed in the measurement reports. Twitter Snapshot only allows for the latest 100 tweets or the past seven days, whichever comes first. Twitter Assistant only analyzes tweets over the last four weeks, and Instagram Checkup only includes posts from the last month. · Brief insights. Because these tools are free, the insights are brief and at the surface level. For example, the tool might say “post more content like this” or “use a variety of content styles,” which is helpful but not necessarily very informative. To gain more in-depth insights, you will need a paid version. · Limited number of accounts. Each tool only allows for one account to be linked. This can be a con for businesses with multiple accounts. · Ability to save/download reports. Except for Twitter Snapshots reports, in which you can easily download, print, share a link, and export to excel, Twitter Assistant and Instagram Checkup do not have the ability to download or export reports. · No Facebook analytics. Facebook is not included in the free version and could be a con for marketers trying to have all social platforms analyzed in one place. Union Metrics’ free social media measurement tools are beneficial for marketers of small organizations and businesses. These tools are limited in their abilities so after the first use, they are best used as a monthly checkup or after a specific campaign. With no cost and no perceived risk, users cannot only receive data and analytics from their social media platforms but also information, tips and insights on how to put that data to use through their social strategy. To begin using these free Union Metrics tools visit https://unionmetrics.com/free-tools/. Logan Allen is a graduate communication studies student at Tarleton State University. You can get in touch with him at @LoganSAllen on Twitter. The top Tarleton State University Influencers on Twitter will be honored at the 6th Annual Texas Social Media Conference in Fort Worth, Texas on Tuesday, April 17, 2018. Fort Worth, Texas - The Texas Social Media Research Institute (@TSMRI) will present statewide social media awards (for the top Tarleton State University Influencers on Twitter) at the 6th Annual Social Media Conference (#TXSocialMedia) in Fort Worth, Texas at Education Service Center Region 11 on Tuesday, April 17, 2018. The following Tarleton State University Influencers will be honored at the #TXSocialMedia Conference. The top Tarleton State University Departments on Twitter will be honored at the 6th Annual Texas Social Media Conference in Fort Worth, Texas on Tuesday, April 17, 2018. Fort Worth, Texas - The Texas Social Media Research Institute (@TSMRI) will present statewide social media awards (for the top Tarleton State University Deparments on Twitter) at the 6th Annual Social Media Conference (#TXSocialMedia) in Fort Worth, Texas at Education Service Center Region 11 on Tuesday, April 17, 2018. The following Tarleton State University Departments will be honored at the #TXSocialMedia Conference. The top Texas University Systems on Twitter will be honored at the 6th Annual Texas Social Media Conference in Fort Worth, Texas on Tuesday, April 17, 2018. Fort Worth, Texas - The Texas Social Media Research Institute (@TSMRI) will present statewide social media awards (for the top Texas university systems on Twitter) at the 6th Annual Social Media Conference (#TXSocialMedia) in Fort Worth, Texas at Education Service Center Region 11 on Tuesday, April 17, 2018. The following Texas university systems will be honored at the #TXSocialMedia Conference. The top Texas Public Universities on Twitter will be honored at the 6th Annual Texas Social Media Conference in Fort Worth, Texas on Tuesday, April 17, 2018. Fort Worth, Texas - The Texas Social Media Research Institute (@TSMRI) will present statewide social media awards (for the top Texas public universities on Twitter) at the 6th Annual Social Media Conference (#TXSocialMedia) in Fort Worth, Texas at Education Service Center Region 11 on Tuesday, April 17, 2018. The following Texas public universities will be honored at the #TXSocialMedia Conference. The top Texas Health-Related, Technical, and Chiropractic Institutions on Twitter will be honored at the 6th Annual Texas Social Media Conference in Fort Worth, Texas on Tuesday, April 17, 2018. Fort Worth, Texas - The Texas Social Media Research Institute (@TSMRI) will present statewide social media awards (for the top Texas health-related institutions on Twitter) at the 6th Annual Social Media Conference (#TXSocialMedia) at Education Service Center Region 11 in Fort Worth, Texas on Tuesday, April 17, 2018. The following Texas institutions will be honored at the #TXSocialMedia Conference. The top Texas Community Colleges on Twitter will be honored at the 6th Annual Texas Social Media Conference in Fort Worth, Texas on Tuesday, April 17, 2018. Fort Worth, Texas - The Texas Social Media Research Institute (@TSMRI) will present statewide social media awards (for the top Texas community colleges on Twitter) at the 6th Annual Social Media Conference (#TXSocialMedia) in Fort Worth, Texas at Education Service Center Region 11 on Tuesday, April 17, 2018. The following Texas community colleges will be honored at the #TXSocialMedia Conference.